So there it was, seemingly settled, with the 1960's looking to win it by one, when who should show up with milk, all these days later? That's right, Rep. Guess which decade he voted for? Yup, the 90's. For all intents and purposes it looked like we were going to be stuck with a tie. Thankfully at the last moment Stacy came through with a vote for the 60's. Sorry 90's, I knew thee well. 60's, I knew thee not, but you shall go on to the second round of semi finals on Saturday. For now though, let us start the first round. Where the yellow went, when it brushed its teeth with Pepsident. We're getting closer to finding out which was the greatest decade of the 1900's. Now it's up to you to decide which will find itself in the final round. Voting ends Friday night and on Saturday, we'll see what we'll see. 50s for sure. Everyone thinks the 70s were so cool, but I Love Lucy was cooler than disco. Due to Kal throwing in a vote for the 90s right at the end, I demand a recount. But wait ... that would leave us with a tie, and you'd go with the 60s anyway, wouldn't you TS? Man, I can't catch a break! Ah, well, the people have spoken, and I'm out of milk again, so I'll drop down a vote for the 50s before I go. Rep, I wrote it last night before Kal voted, so I didn't see that until after I'd posted. However there was also apparently a vote today before I posted and that was also for the 60s so it still works out. Personally I would have gone 90's. Better Saturday morning cartoons. Oh goodness, NOW this is getting difficult! I voted for BOTH of these in the prelims. The 70's! I'll have to say the 70's for MANY of my major life events happened then - - - graduated from High School, graduated from college, got married, and had my first baby. 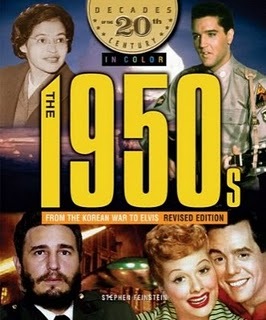 The 50s are looked on as being halcyon days, for some reason, but rampant sexism and racism was a blight. The 70s, on the other hand, was coming out of that era, unfortunately with bad haircuts and a lot of orange and brown decor, but most of it was a step in the right direction. I would have loved to have lived in the 50's, I think...so I am voting for that decade. 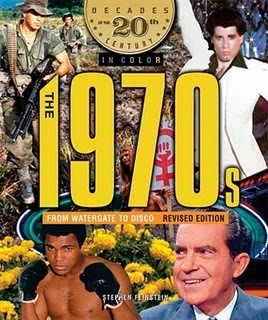 The 70s when the black man could talk truth to power, tv was awesome if you were a kid and no body can ever tell me that Disco outfits weren't the best outfits ever. I spent the years five to fifteen in this very cool decade that included Star Wars and primed me for the fantastic 80s. The firties were just Happy Days which was another good show of the 70s. 'nuff said. Hmmm...I gotta go with 70s. Yep, I want to help bring it on home for the 70s. The world would be even worse off now, I believe, were it not for disco and the Farrah Fawcett hairdo. 70's of course...without it where would I be?...probably leaving a torrent of "Tears in heaven". I'm gonna go with the 50's simply because fashion of that decade was so much fun. Sexism not so much, but I love how much more femine women dressed. Not a fan of disco. I vote 50's.